It's time to relive those precious teenage moments! The moments of friendship, the crazy crushes, the best friends and the arch rivals, the embarrassing moments, the effort to adjust to one's changing body! Watch Gippi's journey as she deals with it all. 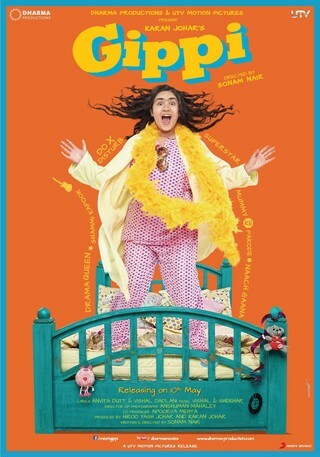 Gippi is a 14-year-old girl who lives in Simla with her mother Pappi and little brother Booboo. She is overweight and awkward and doesn't know how to handle the physical, emotional and social changes adolescence brings. In school she is a backbencher and is constantly bullied by the popular queen-bee Shamira and at home, she's trying to figure out how to deal with living in a broken home. In the middle of all this chaos, she falls madly in love with an older, brooding heartbreaker. When her love story comes to a humiliating end and she is publicly scorned, she decides to take her life in her hands and accepts Shamira's challenge to stand against her in the school elections. Whatever the final outcome might be Gippi makes sure she has a great time in the journey, filling it with delicious desserts, funny teachers, school crushes, and Shammi Kapoor dances. 'Gippi' is a coming-of-age story of an ordinary, overweight girl, who through the course of the film learns to love herself for exactly who she is. It is also a tale of an underdog who picks herself up from nothing and finds herself at the top of her own little world.